Home > Pet Rescue > Bayer Animal Health launches Share For Shelters to help animal shelters across the U.S.
Bayer Animal Health launches Share For Shelters to help animal shelters across the U.S.
Shawnee, Kan., November 23, 2015 – Bayer Animal Health, in coordination with Adopt-a-Pet.com, today launched Share For Shelters, a campaign designed to emphasize the love and appreciation pet owners have for their pets. For every posted photo of their pets, Bayer will give pet care products to select shelters and rescues across the U.S. that are a part of Adopt-a-Pet.com’s network. Bayer knows pet owners love to take and share photos of their adorable pets on social media, and the Share For Shelters campaign aims to transform those shares into opportunities to help protect adoptable dogs and cats from pests and parasites year-round at no charge. Bayer is working on the Share For Shelters program with Adopt-a-Pet.com, North America’s largest non-profit pet adoption website. Pet photos shared through December 31, 2015 will populate a digital photo collage featured at the campaign hub, www.ShareForShelters.com. This site will also highlight tips on how to keep your pet healthy and encourage visitors to consider a shelter adoption if they are interested in rescuing a dog or cat. Each social share will give Bayer products—up to a total retail value of $20,000—to Adopt-a-Pet.com, which, in turn, will distribute them to animal shelters and rescue organizations in need of parasite prevention products for the adoptable dogs and cats in their care. Pet owners are encouraged to share photos of their pets and to frequently check www.ShareForShelters.com to see their photos featured in the Share For Shelters digital collage. Additionally, Bayer will award a prize pack to the individuals submitting the five photos that receive the most likes across all social media platforms. The Bayer Group is a global enterprise with core competencies in the fields of health care, agriculture and high-tech materials. Bayer HealthCare, a subgroup of Bayer AG with annual sales of around EUR 20.0 billion (2014), is one of the world’s leading, innovative companies in the healthcare and medical products industry and is based in Leverkusen, Germany. The company combines the global activities of the Animal Health, Consumer Care, Medical Care and Pharmaceuticals divisions. Bayer HealthCare’s aim is to discover, develop, manufacture and market products that will improve human and animal health worldwide. Bayer HealthCare has a global workforce of 60,700 employees (Dec 31, 2014) and is represented in more than 100 countries. More information is available at www.healthcare.bayer.com. 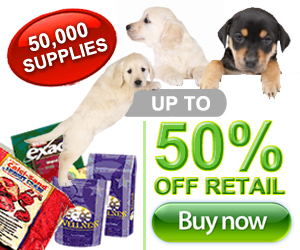 Adopt-a-Pet.com is North America’s largest non-profit pet adoption website. We help over 16,000 animal shelters, humane societies, SPCAs, pet rescue groups, and pet adoption agencies advertise their purebred and mixed breed pets for free to millions of adopters each month. Sponsored by the pet lovers at Purina, Bayer Animal Health LLC, and the Petco Foundation we help homeless dogs, cats, and even rabbits and other animals go from alone to adopted. But we don’t stop there. Adopt-a-Pet.com also provides valuable information on the human/companion animal relationship to help keep pets healthy and successfully living in their loving homes. Visit our Facebook page and blog for supportive content and articles, and our YouTube channel for entertaining and informative pet training videos, all produced by our staff of experts in animal training and behavior, as well as human psychology.